Question #1: May I pray while they meditate? In a similar context, the Gemara (Shabbos 127b) records that when Rabbi Yehoshua needed to speak to a Roman, he removed his tefillin (which he wore all day) before entering the house, so as not to expose the tefillin to the tumah of the idols that an upper class Roman would have. Let us begin our discussion by explaining the first of our opening questions. Yankel is traveling on business, and his itinerary allows him to daven in the airport, between flights. However, the bustle of his fellow travelers makes it difficult to find a place where he can daven with any sort of kavanah. There is a “meditation room” in the airport, where he can find a quiet corner, but this room is probably used by idol worshippers for their prayers. May he daven there? (1) To go to a field that is alongside the road and pray there. (2) To wait until he reaches the nearest inn, which will be one owned and operated by gentiles, and pray there. The Gemara frowns strongly on someone who prays in an open area (Brachos 34b, Tur and Shulchan Aruch, Orach Chayim 90:5). Thus, the Terumas Hadeshen suggests that perhaps it is better to wait until he arrives at the inn and pray there. On the other hand, he notes that praying in a non-Jewish inn, even should he find a quiet corner, involves its own halachic challenges, since the inn will =undoubtably be filled with idols and graven images. The Terumas Hadeshen quotes both the Mechilta and the Gemara mentioned above as proofs that one should not pray in a place containing religious icons. Therefore, the better choice is for our traveler to pray in an empty field, if he can find a place where he will not be distracted. However, if there is no place to daven outside without risking being bothered, he should wait until he arrives at the inn, hoping that he’ll find an undisturbed corner in which to daven. Thus, we see that the Terumas Hadeshen understands that Moshe left the city to daven because he had an alternative place – but it is permitted to pray in a city containing idols, when there is no alternative. Based on this Terumas Hadeshen, we should be able to answer Yankel’s inquiry. If there is no better place in the airport where he can daven undisturbed, it would seem that he may use the meditation room. Of course, I suggest that our readers refer this question to their own rabbonim and poskim. I found that this exact question was asked of two recent halachic authorities, Rav Eliezer Yehudah Valdenberg (Shu’t Tzitz Eliezer 14:91) and Rav Ovadyah Yosef (Shu’t Yechaveh Daas 4:45). Both of these authorities prohibit entering a church as part of a tour, to enjoy the artwork, or to study history. Let us examine the sources on which this prohibition is based. The Mishnah (Avodah Zarah 1:4) states: It is permitted to be outside a city that contains avodah zarah. If there is avodah zarah outside it, inside the city is permitted. The Mishnah implies that one may not be inside a city that “contains avodah zarah.” The question is: What is meant by the clause, a city that contains avodah zarah? This is the subject of a dispute among the early authorities. Most rishonim (e.g., Rashi, Avodah Zarah 11b; Raavad, to Hilchos Avodah Zarah 9:9) explain that the Mishnah is prohibiting entering a city on a day that there is a big festival in honor of a deity. One may not visit the city that day, because people may think that he is entering the city in order to buy or sell from those observing a holiday. This is prohibited, because his financial dealing with the idolaters may cause them to thank their god for the commerce that was provided, which means that the Jew caused a gentile to worship idols. According to this approach, one may enter a city that contains idols when no festival is being celebrated. You should be aware that it is prohibited to travel intentionally through any city in which there is a temple of avodah zarah, and it is certainly prohibited to dwell in such a city. However, we are under their control and we live in their lands against our will… if this is the law regarding the city, it is certainly so regarding the temple building itself. It is almost prohibited for us to see it, and, certainly, we may not enter it (Rambam, Commentary to Mishnayos, Avodah Zarah 1:4). The Rambam rules the same in his Mishneh Torah (Hilchos Avodah Zarah 9:9), stating that one may not enter a city that contains an idol. The Shulchan Aruch (Yoreh Deah 149:1) rules according to the majority opinion, meaning that it is prohibited to enter a city containing a building intended for idol worship only on a day when there is a festival. The Shach, however, appears to disagree, quoting the Rambam’s opinion as normative halachah. The accepted practice follows the Shulchan Aruch. However, the Shulchan Aruch is permitting entering only a city that contains an idol. All authorities prohibit entering the house of worship itself. This is based on a passage of Gemara (Shabbos 116a) that states that if someone is being pursued by either a person or a snake that is trying to kill him, he may enter a house of idol worship. Obviously, it is prohibited to enter such a building for any other reason (Shu’t HaRosh 19:17; Tur and Shulchan Aruch, Yoreh Deah 157:3). We should note that there are authorities who rule that one may not enter a house of idol worship, even to save one’s life (Bach, end of Yoreh Deah 157, quoting Rashba). These poskim, indeed, consider this prohibition to be yeihareg velo yaavor. An early authority, the Sefer Chassidim (Rav Yehudah Hachassid, early 13th century Germany), shared with us the following story, which bears out the same ruling: A priest owed a Jew a lot of money, and he knew that the Jew would not follow him into a church. Whenever the Jew went to collect the debt, the priest went into a church to avoid paying his debt. A different person who was owed money had entered a church to collect the debt, and now, feeling guilty about it, asked a posek how he should do teshuvah for his sin of entering the church. He was answered that on that date every year (the yahrzeit), he should fast, as atonement for the sin (Sefer Chassidim #435). Thus, we see how seriously Rav Yehudah Hachassid viewed the prohibition of entering a church. In a similar, much later, ruling, the Maharash Engel (responsum #83) prohibited a Jewish carpenter from installing windows in a church (quoted by Shu’t Tzitz Eliezer 14:91). As noted by Rav Ovadyah Yosef, this should be applied to any Jewish workman – such contract work is off-limits. In the above-referenced responsum, Rav Ovadyah speaks very strongly about how severe a prohibition it is to enter a church. May one enter the courtyard of an avodah zarah, as long as one is careful not to enter the building? A corollary of this question is whether a workman may take a job that includes doing outdoor cleaning or repair work on a church. The Rema (Yoreh Deah 149:2) rules that when the idolatrous worshippers are gathered outside for some religious observance, a Jew may not enter the courtyard, because of the prohibition of maris ayin: people might think that he is intending to join the worshippers. At times when there is no such gathering, the Rema quotes a dispute as to whether one is permitted to enter the courtyard. When the courtyard leads somewhere else as well, it is permitted, according to all opinions, to traverse it to get somewhere that is permitted. Even so, it is exemplary practice to avoid entering a courtyard that includes a beis avodah zarah, when he has an alternative route that will not add significantly to the trip. This actual question was asked of Rav Moshe Feinstein (Shu’t Igros Moshe, Orach Chayim I #49). A Catholic church had suffered a fire over twenty years before, and the building was subsequently renovated for use as a school. Subsequently, the school building was destroyed, again, and all that remains of the building now is a shell, with no indication of its previous use. May one purchase the property for use as a shul? As Rav Moshe notes, the background to the shaylah is not new. Let me provide an introduction. The halachic authorities discuss the following question: A gentile donated wax candles to his church, but they were never used. May these candles be used in a shul? The Chasam Sofer ruled that they may, since they were never used for idolatrous practice (Shu’t Chasam Sofer, Orach Chayim #42, quoted by Mishnah Berurah 154:44). What is the law if these candles had been used in the church, and were then sold by the priest? Is a Jew permitted to use these candles? The authorities rule that one is permitted to use the candles for private, non-mitzvah use, but they may not be used in a shul (Shulchan Aruch and Rema, Orach Chayim 154:11). Why is this so? Although the candles were used for idolatrous purpose, the fact that the priest sold them constitutes this to be an act called bitul, nullifying the prohibition of avodah zarah, which permits using these candles for secular purposes. However, one may still not use them to perform a mitzvah, such as to kindle them in shul, for the Shabbos lights, the Chanukah lights or to enable someone to study Torah (Magen Avraham; Elyah Rabbah 154:15). By this logic, it would seem that a converted church should not be used for any mitzvah, and certainly not for a shul. This is, indeed, the conclusion of Rav Moshe Feinstein, although he acknowledges that there are those who disagree, as I will now explain. May one pray in a church? A prominent, early acharon, Rav Eliyahu Mizrahi, was asked concerning the following: A shul had been used for some sinful activity, and now people were spreading a rumor that one is no longer permitted to daven there. The Mizrahi, as he is usually called, ruled that this was an error in halachah. In his responsum on this topic, he wrote the following: “What they think is in error. According to their mistaken notion, one would never be permitted to pray in the house of any of the Greeks (his way of referring to the Eastern Orthodox Christians, as opposed to the Moslem population where he lived), since they usually have in their homes statues of Jesus and his mother, with a fire burning underneath, and the smoke rises from the fire, which qualifies as straightforward idol worship… Nevertheless, it is permitted for us to rent houses from them and pray in the houses, notwithstanding the fact that we know that they had worshipped idols in the house previously. If this were prohibited, we would be forbidden to pray in the Beis Hamikdash, since the Greeks brought idols inside, prior to the Chanukah miracle (Shu’t Rav Eliyahu Mizrahi #81). Indeed, why is it permitted to pray inside the Beis Hamikdash after it was made into a house of idol worship? The Magen Avraham (154:17) explains that this is permitted because the building itself was never worshipped. For the same reason, perhaps a church building can be treated more leniently than the leftover wax, which may not be used for a mitzvah, since the wax itself was used for avodah zarah worship. However, other authorities prohibit using as a shul what was once a church building (Elyah Rabbah), contending that one may pray in such a building only on an occasional basis. Although the Beis Hamikdash was used on a permanent basis, there is a halachic difference between using a building that was originally intended for idol worship, which one may daven in only after it is no longer being used and, even then, only occasionally, and the Beis Hamikdash, which, although used for idolatry, does not lose its kedushah. Rav Yaakov Ettlinger, the great German nineteenth-century posek (often called by the title of his magnum opus, the Aruch Laneir, a classical commentary on much of Shas) was also asked a similar question, which is published in his collection of responsa, called Shu’t Binyan Tziyon. Aside from halachic interest, the teshuvah has historical interest, since it is dated 5618 (1858) to a Rav Avraham Asch of New York City, and would be an unusual instance of a pre-civil-war halachic correspondence. A community requires the acquisition of a building to use as a beis medrash, and they are having difficulty finding an appropriate facility. They have found a building which was originally built as a residence, but was then sold for use as a church. The many years that it was used as a church, the worshippers did not bring any icon inside the building. The building has now been sold, and Rabbi Asch and his congregation would like to purchase this building for their beis medrash/shul. The Binyan Tziyon notes that, according to the Mizrahi, this is surely permitted. Nevertheless, based on the opinion of Tosafos, the Binyan Tziyon is inclined to prohibit purchasing this building as a shul. However, he rules that if the situation is extenuating, they may use the building for their shul, relying on a combination of several lenient reasons: (1) the opinion of the Mizrahi, (2) the gentiles never brought an icon into the building, and (3) it was not built, originally, to be a church (Shu’t Binyan Tziyon #63). The Mishnah Berurah writes that the accepted practice is to permit allowing a church building to be converted into a shul, but only when no icon or idol had ever been brought into the building (Biur Halachah s.v. Neiros). If an idol was ever brought into the building, one may not, subsequently, use this building as a shul. Rav Moshe notes that although the prevalent practice in America was to purchase church properties and renovate them into shullen, he concludes that this is not permitted. However, he does permit this when the building will require a complete renovation, such that its original structure is no longer recognizable. In this instance, he concludes that the newly renovated building has no stigma. 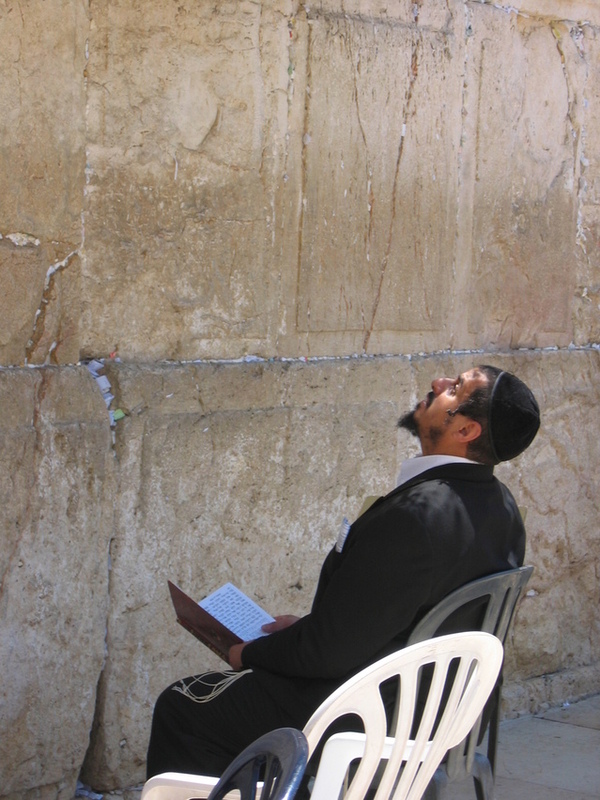 Our belief in Hashem is the most basic of mitzvos. Praiseworthy is he who stays far from idols and their modern substitutes and directs his heart only to Hashem. *Although this was an actual question, the name has been changed.